The bickering between Art Napoleon and Dan Hayes plays a big part in every episode of their cooking show, Moosemeat & Marmalade. Napoleon said humour is just as important as the food. The bickering between Art Napoleon and Dan Hayes plays a big part in every episode of their show, Moosemeat & Marmalade. For Napoleon, the humour is just as important as the food. "It's a universal language. Food and humour. It's a good way to let people put their guard down and I think it plays a big role in our cultures," Napoleon said. 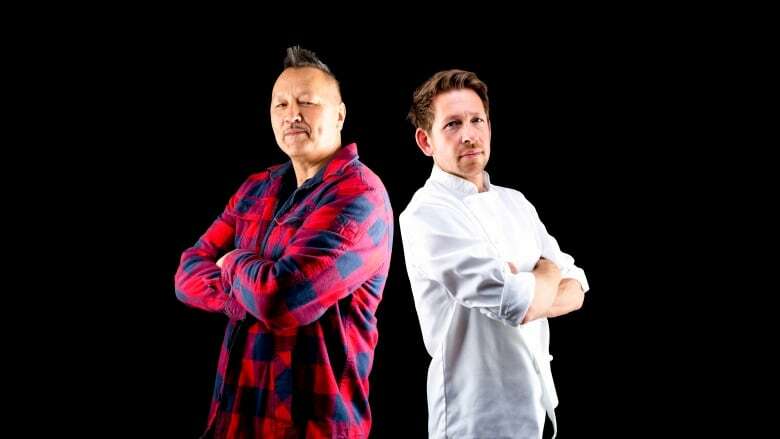 Napoleon is a wild bush cook from Saulteau First Nation in northeastern B.C., while Hayes is a classically-trained chef from London. This season they'll travel from Vancouver Island to Yellowknife and over the pond to the United Kingdom. Recipes featured will include a fireside clambake and wood pigeon with hazelnut salad. Three seasons in, Napoleon said they're still learning from each other. "I think he tries to mimic me more now. 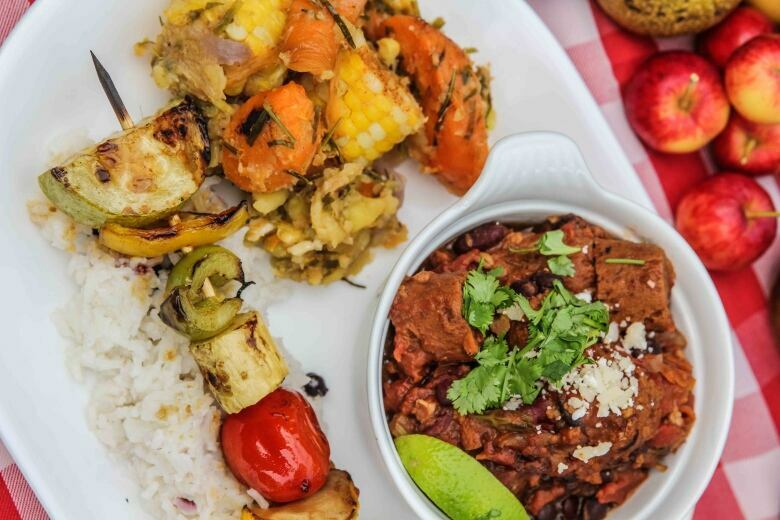 He never would admit it but I notice he's cutting great big, sloppy chunks of food and he plates it in a way and he's calling it rustic," Napoleon said. "I'm also learning — important things like being organized and being cleaner in the kitchen," he added with a laugh. Each episode takes the team to a different community and Napoleon said a limited budget makes for quick turnarounds. Filming in each location — meeting people, going out on the land, foraging, hunting and cooking is all packed into as little as three days. The hunting scenes sometimes have to be shot in three hours. "We hire guides in the communities that we're going to so that they go and do some scouting and some tracking to up our chances of getting something," he said. But Napoleon said it also benefits the communities they visit. "The Native approach to everything, to business, is about relationship and family. I think we take that approach in organizing our filming. We touch base with communities ahead of time. We find out who the elders are, the cute ones. We want those cute ones with no teeth. They look good on camera," joked Napoleon. Napoleon admitted he never imagined he would be working with someone like Hayes. And while the show focuses a lot on cultural differences, there's also similarities, like the importance of gathering together for a meal. "It's a very, very important part of my culture. I think it's part of his experience. It just looks different. They just sit around a nicer table and they dress funny."